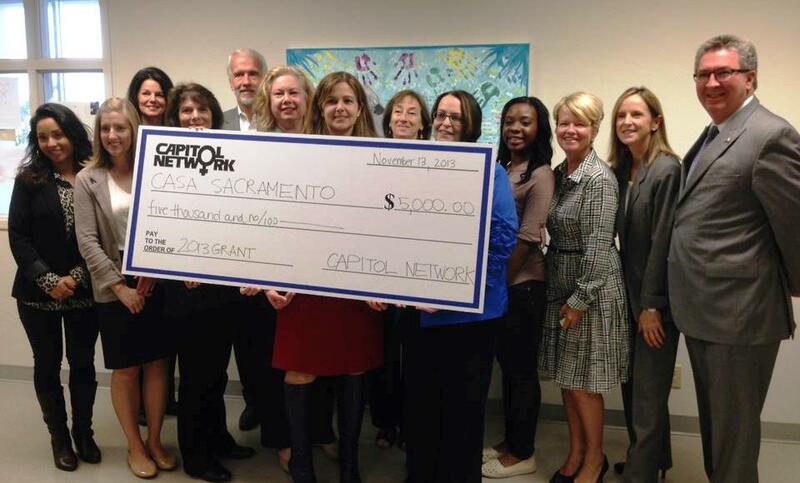 Since its founding in 1983, Capitol Network has donated more than half a million dollars to charities that provide support and educational services and programs to women and children throughout California. Each summer, Capitol Network accepts applications from qualified nonprofit organizations for charitable giving grants. A list of past recipients and Capitol Network’s charitable giving history is available HERE. Qualified applicants must be California non-profit (501c3 or 501c6) organizations serving the needs of women and/or children. The application package must include a copy of the organization’s non-profit filing with the Attorney General’s office, and be accompanied by a letter of recommendation from a member of the Legislature or Capitol Network. Additional materials regarding the organization may be included in the packet, but are not required. Recipients of a Capitol Network grant are not eligible in consecutive years. 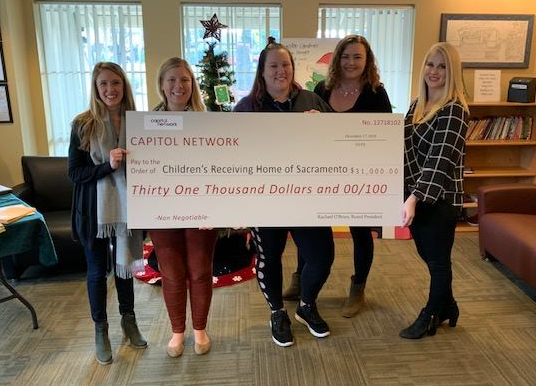 Golf Tournament co-chairs Margo Parks and Erin Norwood meet with the 2018 charity golf tournament recipient, the Children's Receiving Home of Sacramento. The $31,000 gift will support their Sprouts program, providing therapeutic and early intervention services for children ages 3-6 with a history of trauma. Presentation to a New Day for Children by Capitol Network President Courtney Jensen and Golf Committee Chair Erin Norwood. 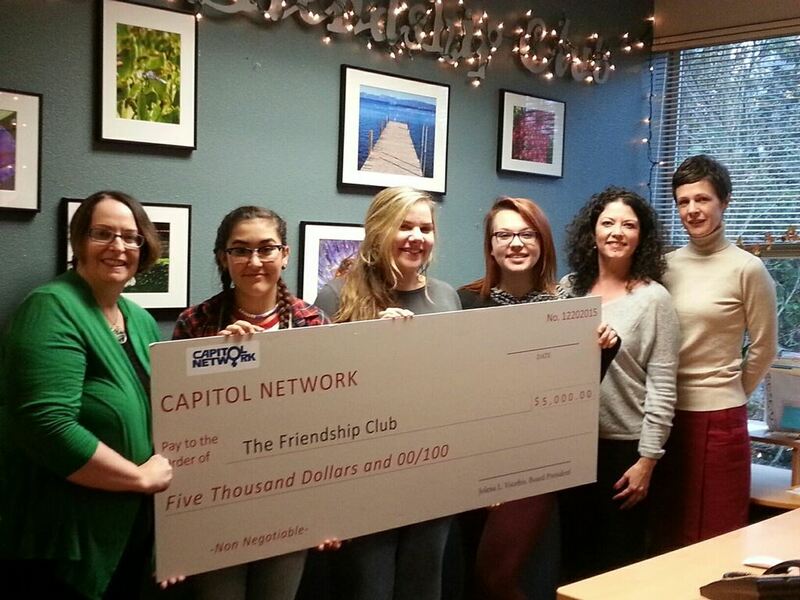 Jolena L. Voorhis presenting a check to the Friendship Club is a year-around program that serves about 80-100 girls at-risk in sixth through twelfth grades. 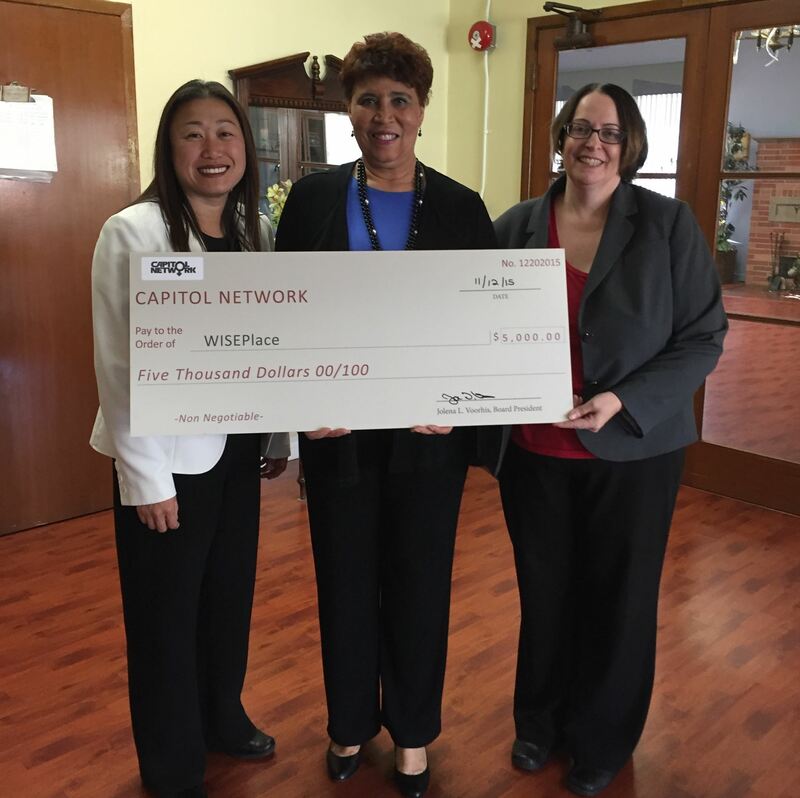 Senator Janet Nguyen and Capitol Network President Jolena L. Voorhis present a check to WISEPlace. 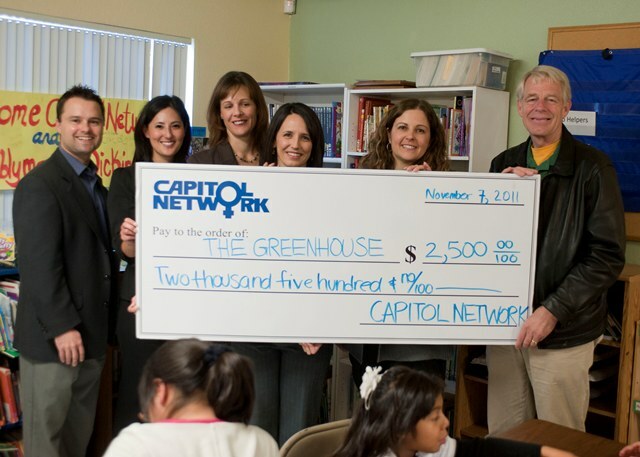 Assembly Member Roger Dickinson and Capitol Network Members Kyle Packham, Iris Herrera, Erin Sullivan and Amy Blumberg James present a check to Kacie Stratton of Green House. 2013 Capitol Network President Amy Blumberg James and Charity Committee Co-Chair Kara Bush with representatives from charities awarded grants in 2012.